The Bureau of Economic Geology conducts research on subjects of high interest to the energy industry and environmental firms, and a broad spectrum of companies actively participate in its industry consortia. These unique industry partnerships study research subjects as diverse as salt tectonics, carbonate reservoir characterization, natural fractures and geophysics, carbon storage, nanotechnology, quantitative clastics, computational seismology, mudrock reservoirs, and energy economics. 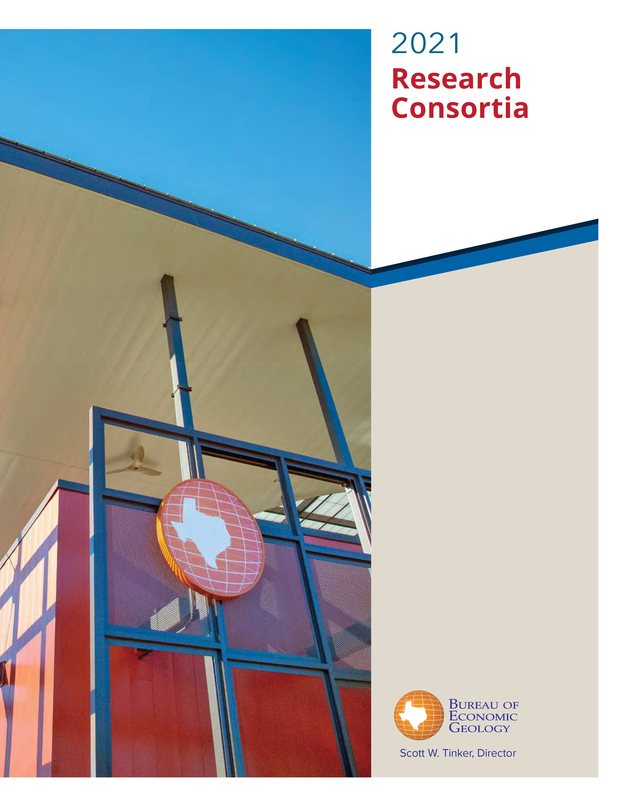 Collectively, these consortia enjoy the support of over 70 companies globally, with some companies participating in as many as 9 separate programs. Each industry consortium was designed to complement industry efforts to understand a key exploration, production, and/or environmental or economic problem. Participation is on a subscription basis. Member benefits vary, but generally include first-look privileges to research outcomes, access to research teams, invitations to annual review meetings, and office visits by researchers for presentation and interaction. Members also benefit from interactions with counterparts in fellow sponsoring companies. Each Bureau research consortium has a dedicated team of full-time researchers,including postdocs. Many host talented graduate students. The teams combine seasoned experts with early-career specialists. A number of researchers have industry backgrounds, and all share a passion for university-based research. The primary goal of the Advanced Energy Consortium (AEC) is to develop intelligent subsurface micro and nanosensors that can be injected into oil and gas reservoirs to help characterize the space in three dimensions and improve the recovery of existing and new hydrocarbon resources. The consortium also believes that there is near term potential to increase the recovery rate in existing reservoirs by exploiting the unique chemical and physical properties of materials at the nano scale. The Center for Energy Economics (CEE) seeks to educate stakeholders on energy economics and commercial frameworks using comparative research to facilitate energy development. Research focus is on frameworks for commercially viable energy projects and the business-government interface. CEE works to help prepare energy industry managers and their legal advisors, and government policy makers and regulators, for more competitive global energy markets. The Center for Integrated Seismicity Research (CISR) is a multidisciplinary, trans-college research center conducting fundamental and applied research to better understand naturally occurring and potentially induced seismicity and the associated risks. The research is designed to understand the subsurface processes that may influence seismicity, quantify and reduce risk to the citizens and infrastructure of Texas, and improve standards of practice to mitigate seismicity that may stem from industrial activity. The Deep Reservoir Quality project provides concepts and data that can be used to forecast reservoir quality, reservoir architecture, and associated risk factors when drilling deep to ultradeep (15,000–35,000 ft) targets beneath the Gulf of Mexico (GOM) shelf and deep water. The study adds valuable updip regional knowledge for companies focused on downdip deep-water exploration. The mission of the Texas Consortium for Computational Seismology (TCCS) is to address the most important and challenging research problems in computational geophysics as experienced by the energy industry while educating the next generation of research geophysicists and computational scientists.